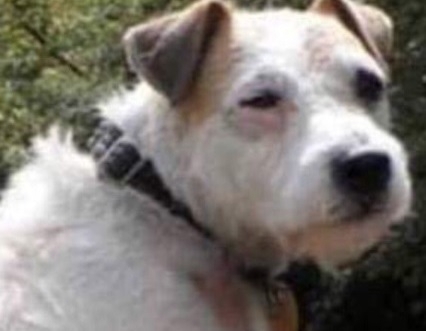 Billy the fox terrier, whose owner is British, first became stuck on April 3, after running through artificial tunnels next to the Bourgogne canal. It is thought that the tunnels had become partially collapsed, trapping the 13-year-old pet. Firefighters were called to help with the rescue, with crews attempting to pump water out through the tunnels to help free the dog, while the animal himself sheltered in another tunnel. Departmental potholers and divers were also called. Similarly, canal management company VNF (Voies Navigables de France) also became involved, attempting to lower the level of the canal waters to allow the searchers to access the tunnel. After several failed attempts at rescue - and some firefighters becoming stuck and requiring saving themselves - Bernard Schmeltz, commissioner for Bourgogne-Franche-Comté, called off the operation. A department press release said it “did not forbid” any rescue operation by volunteers, but strongly recommended against it due to the instability of the area and the presence of water. But comedian Rémi Gaillard - advocate for animal causes and head of animal welfare group Anymal - then took up the cause, saying that “[we] cannot just let the animal die”. Billy, piégé dans un trou depuis 5 jours, n'arrête pas d'aboyer. Spéléologues OK pour agir, mais vous préférez ne "pas poursuivre l'intervention" et le laisser crever. Mr Gaillard wrote a Facebook post calling for support for the rescue, and saying that Billy was “still alive, and had not stopped barking” since he became trapped. As a result, volunteer teams showed up to help, with some helping to provide an extra water pump, and a group of volunteer potholers also coming to the dog’s aid. Billy was finally freed on Tuesday April 9. Billy was later taken to a vet, who diagnosed him with slight dehydration but otherwise gave him a clean bill of health and let him go home.